Entries tagged with “Gay’s Guernsey Dairy”. Allora! WineStyle goes Italian and cheesy for Autumn! I have the highest regard for the new WineStyle magazine, which was launched late last year as a wonderfully impressive coffee-table quality food and wine magazine. The latest issue has just been sent to subscribers, and once again impressed with its fantastic quality photography and print production. The theme of the Autumn edition is Italy, and the magazine introduces the theme with a trip to “Under the Tuscan Sun”, a lovely travel report by Karen Wright, with a clarification of the Chianti wines from this region. I did this journey a few years ago, after I had read the book with the same title by Frances Mayes, travelling to Florence, Sienna, San Gimignano, Montalcino, and Montepulciano, and following in Mayes’ footsteps in Cortona. Then follows a tasting of affordable Italian wines, none costing more than R100, and included Lamberti Santepeitre Valpolicella Ripasso, Zaccagnini Montepulciano D’Abruzzo, Teresa Rizzi Prosecco Brut, and Medici Sangiovese Rubicone. The magazine focus then returns back ‘home’, and award-winning wine writer Joanne Gibson focuses on the allowable levels of lead, mercury and even arsenic in South African wine! She asks why sulphur dioxide must be declared on local wine labels but not the fourteen other ‘restricted substances’ listed in the Liquor Products Act 60 of 1989. The article describes the effect of sulphites on those with an allergy to it, and Gibson writes that often it is not the allergy to sulphites but rather to wine generally. She lists low-sulphite wines as including Anura Brut, Krone Borealis Brut, Reyneke Reserve White, Stellar Organic Winery, Villiera Brut Natural Chardonnay, Waverley Hills, and Woolworths Brut Natural and their Chenin Blanc. The article on cheese and wines, by Diane Heierli, with photography by Christoph Heierli, is good enough to eat. The photographer impressed in the first edition already. The article highlights that our local cheeses are excellent, and that we do not have to import them to enjoy good quality cheese. In fact, a next article highlights six ’boutique cheeseries’, being Dalewood Fromage, Goat Peter Cheesery, Belnori Boutique Cheesery, Foxenburg Estate Cheesery, Hijke Cheese, and Buffalo Ridge. 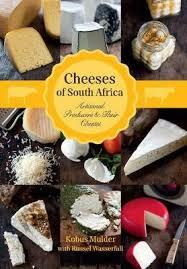 Each of the cheesemakers recommend a suitable wine to pair with one of their cheeses. From cheese and wine, the magazine moves to mushrooms, the article produced by the Heierlis as well, and providing recipes such as “Moreish mixed mushroom risotto”, “Super simple creamy mushroom sauce”, “Mushroom and pecorino pizza”, a beautiful looking “Spicy Asian enoki broth”, and “Balsamic glazed brown mushroom and steak”. What seems out of place, relative to the theme, is the last article on the Route 62, although ‘cheese-lovers paradise’ Gay’s Guernsey Dairy in Prince Albert is mentioned. The cover photograph of the magazine, linked to this article, does not reflect wine or food at all, and I would question if it was the best photograph to use, given the many lovely photographs in the magazine. Right at the end, the magazine goes back to its Italian beginning, with a recipe for ‘La Limoncello’. Every week WineStyle sends a newsletter to its subscribers, to bridge the three month gap between issues. In this way the brand interest is kept alive, and the editor can provide ongoing food and wine news. The new newsletter design is perfect, in now creating synergy between the magazine design, and that of the newsletter. Once again, the concept of WineStyle being environmentally friendly, in being print-on-demand, and only posted to its subscribers at no charge, is saluted. It is not commercially available. WineStyle has set an incredibly high benchmark in food and wine publishing, with editor Jenny Ratcliffe-Wright at the helm. The advertisers are demonstrating their support already, being Glen Carlou, Pongracz, Hermanuspietersfontein, Constantia Glen, Highlands Road Estate, Kleine Zalze, Klein Constantia, Bouchard Finlayson, Fleur du Cap, and Paul Cluver, and that is just mentioning the wine advertisers.